Learn what it's taken to keep one of Saratoga's most historic homes looking delightfully old from the inside out. For any Saratogian who calls this wonderful city home, it’s a well-known fact that restaurants come and go. Maybe you were a fan of the Saratoga Pizza House, Mino’s Sushi or Jacksland’s. All are now distant memories in Saratoga’s culinary past. But one Saratoga restaurant has endured the test of time—in more ways than one. 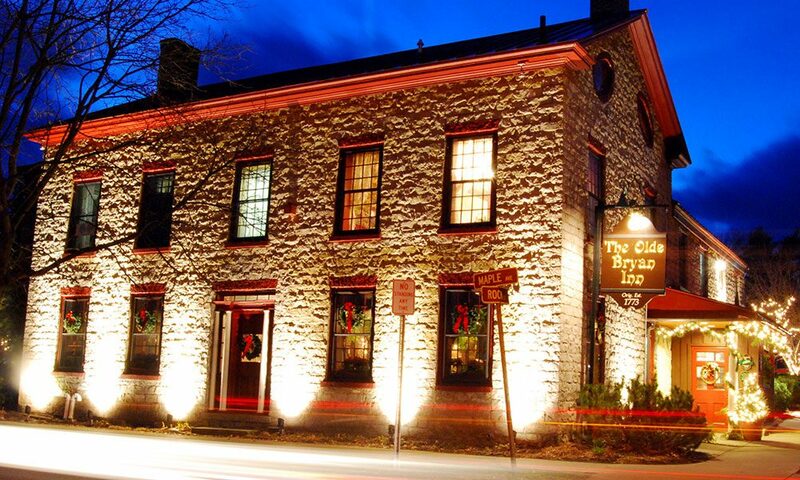 The Olde Bryan Inn is one of those spots that will seemingly never go out of style because of it’s incredible, frozen-in-time decor. Sure, the French onion soup and chicken wings are top of the line, but it’s that homey, old-fashioned interior design that keeps us coming back and feeling like we’re sitting inside something historical. The Inn’s latest owners, Dave Powers and Steve Sullivan, have been running it for almost 40 years. They added much of the building’s current interior decor: church-pew booth seating bought from the Church of St. Peter in the late ’70s; portraits of children painted in the first half of the 18th century; photos of the Inn in its earlier iterations; and etchings of the Saratoga area. Their touch reinforces the rustic, timeless feel of the Inn, without allowing it to feel too antiquated.